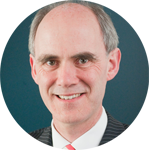 His Honour Judge Andrew Becroft is New Zealand’s Children’s Commissioner. He previously served as Principal Youth Court Judge from 2001 to 2016. Born in Malaysia, and educated at Rongotai College, Wellington, Judge Becroft graduated from Auckland University in 1981 with a B.A./LL.B (Hons) degree. He practiced in Auckland and in 1986 assisted with the establishment of the Mangere Community Law Centre. He worked there as the centre’s senior solicitor until 1993. He then worked as a criminal barrister in South Auckland until his appointment as a District Court Judge to Whanganui in 1996. Judge Becroft is also the Patron of the New Zealand Speak Easy Association Inc., which assists those with various forms of speech impediment. He is married to Pip and they have three children. Judge Becroft is a keen sports watcher (but an average participant). He is a strong advocate of youth issues. Dennis’ parents were missionaries in South India and he spent his early years there. He trained as a teacher, studied geography at Victoria University, taught at secondary level and did some teachers’ college teaching before returning to India with his wife, Ariadne, as members of Interserve. They learned Hindi and he undertook post-graduate studies in the Delhi School of Economics. Dennis also worked with UESI (the IFES movement in India) advising the EU in Delhi University. He taught at the Kotagiri Study Centre and was a staff worker for the Christian Teachers graduate group of UESI. Dennis studied at Regent College, Vancouver. Their two sons Ben and Philip were born during their time in India. In the mid-1980s they were unable to get a visa to return to India and went to Papua New Guinea, where Dennis taught theology at Christian Leaders’ Training College. More recently Dennis taught at Onslow College, Wellington. He has been involved in environmental education including leading trekking trips to the Indian Himalayas and tramping in NZ. Dennis is a member of Porirua Gospel Chapel, Cannon’s Creek, Porirua. 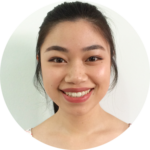 Abbie was born in Auckland but raised in Changchung, China from the age of 5. After 13 years she returned to New Zealand and completed a degree in early childhood teaching, where she was involved with TSCF in Otago. Doing life as a Christian alongside other students was a milestone in her walk with Lord. In 2015 she began work at the Dunedin Hospital Early Childhood Centre. Abbie has a passion for prayer and worship and is a youth and worship leader at her church, where she met her husband. She continues to be passionate about discovering who God is, studying his word and sharing his good news of life and love with others. Aimee is passionate about living a life of purpose not comfort. Inspired by the person of Jesus and her belief that everyone has value—not based on our place in the world, how much money we make, our education, our background or who we know—she gave up her career almost 10 years ago to work in a “for purpose” organisation that had just started in New Zealand, Christians Against Poverty. CAP exists to provide the best service to those with the least here in Aotearoa. After serving in a number of roles, Aimee became CEO of CAP in 2013. Under her leadership, it has experienced rapid growth and expansion throughout New Zealand. Aimee counts it a privilege to work in partnership with local churches to serve those who are struggling in our nation, providing practical help and sharing the transforming love of Jesus. Aimee grew up with her three sisters on a dairy farm just outside of Gisborne. She now lives in South Auckland with her husband, Ben. Annelise was born in Masterton and moved to Tauranga when she was 10. She became involved with TSCF in 2017 at Lincoln University. 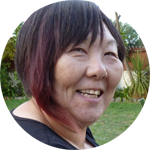 She is now back in Tauranga, involved with the group there and studying Marine Studies at Toi Ohomai Institute of Technology. Annelise is a Law and Accounting conjoint student at the University of Auckland. She was born in Malaysia but raised in Auckland. 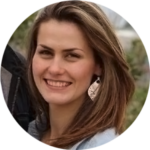 She loves travel and is passionate about engaging with diverse cultures and people. Bruce graduated from the University of Otago in 1981 after studying commerce and history. He will let you guess which is the more interesting but his career has focused on auditing within the public sector. He completed a 34-year career working for the Auditor-General, and is now an advisor and consultant to both central and local government agencies. His work takes him over much of the New Zealand..
Otago University Christian Union was pivotal his life. It’s where he and Pip, his wife, met! Since then the work of TSCF has been an enduring interest, and he joined the National Board in 2009. 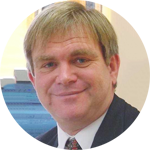 Bruce has also been involved with Presbyterian Support Otago, other related social welfare initiatives and church life. Mountain biking and hill running remain an active interest – although at a slower pace these days. Annual races like the Routeburn Classic are a must-do but he is secretive about the times. Bruce and Pip have three sons and a grandson. They split their time between Dunedin and Queenstown, worshiping at Holy Name in Dunedin and St Margaret’s Presbyterian Church in Queenstown. Daniel grew up in Southland to parents involved in ministry. Their work took the family to Sudan, where Daniel saw a greater dependence on God than is often experienced in Kiwi culture. 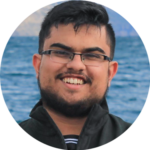 He is now a second year Accounting student at the University of Otago. In 2017 he served as vice president and treasurer for Varsity Christian Fellowship and has been involved in the Business Fellowship. Daniel loves meeting students from all faculties and seeing how their faith connects with their study. He wants to better connect Christian fellowships and campuses across the country so that students can see a bigger picture of what they are participating in. Taloha ni. I’m married to a beautiful Samoan woman, Rabena. I am of Samoan/Tokelauan heritage, was born in Apia, Samoa and raised in Mangere, South Auckland – the Capital City of the Universe. We returned to Aotearoa after spending 2015–2017 overseas, serving as tent maker (self-funded) missionaries in more than 33 countries. We mainly supported ministries with persecuted Christians, business as mission projects, Bible smuggling, and local church initiatives. I am blessed to join TSCF as I am passionate about student ministry and declaring and demonstrating the reality of Christ and the gospel message in a secular, postmodern and pluralistic Kiwi society that is often apathetic or cold towards God. I was involved in Pacific Students For Christ and the Law Students Christian Fellowship during my studies at Auckland University. My wife was involved in student ministry at Otago University. I have degrees in law and politics, and currently work as a lawyer and advisor for The Salvation Army, based in South Auckland. I am particularly interested to see how we at TSCF can connect with more Maori and Pacific students on our campuses across the country. Rabena and I plan to move back overseas in the near future to continue serving the Master. Vikia te Atua! (“Praise God” in Tokelauan). Rubee was born and educated in Otaki. 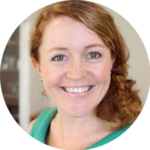 She trained as a registered medical laboratory scientist, specialising in microbiology and immunology, and works for Hutt Valley DHB. 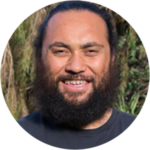 In further studies Rubee has obtained a Fellowship of NZIMLS, Dip Grad Biotech from Otago and a Diploma in Biblical Studies from BCNZ (now Laidlaw College). As well as being active in medical laboratory science special interest groups, Rubee has a keen interest in children and youth ministries and cross-cultural missions. She worked for six months in a refugee camp on the Thai/Cambodian border. Rubee is on the Wellington OMF Committee and is an advisor for the Wellington ICF group. She is involved with Knox/St Columbia Presbyterian church in Lower Hutt. Time permitting, Rubee enjoys the outdoors, and has ambitions of someday walking the NY marathon and climbing Mt Kinabalu. She also enjoys photography, various creative crafts and learning more about NZ flora. 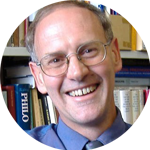 Paul Trebilco is Professor of New Testament Studies in the Department of Theology and Religion at the University of Otago, where he has taught since 1988. He was Head of Department from 1998 to 2009. Paul studied Chemistry at Canterbury, and then did a Bachelor of Divinity at Otago before doing his PhD in New Testament at the University of Durham, England under the supervision of Profesor James Dunn. He was involved in Christian Union at Canterbury and Otago. He has written several books, including The Early Christians in Ephesus from Paul to Ignatius, published in 2007 and What’s in a name? Self-designations and Group Identity in the New Testament, published in 2011. He teaches a range of New Testament papers at Otago University. He is married to Gill, and their children are Fiona, Stephen, David and Philip. Paul particularly enjoys gardening and watching his children play sport. Andrew was born and raised in Auckland. He met his wife, Helen, at an Auckland University Evangelical Union house party in 1980. Together they served on AUEU executive in 1981 and married in 1983. Andrew graduated from Auckland University with an MSc (Hons) in 1983 and with a Master of Theological Studies from Laidlaw College in 2002. Andrew served as TSCF’s General Secretary from 1991 to 2001, before returning to secondary education. In 2017 he left his role as Deputy Principal at Selwyn College in Auckland to come back to campus ministry as a chaplain at the University of Auckland. 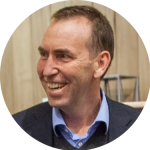 Andrew works part-time as a leadership coach and as a consultant for the Wilberforce Foundation, a philanthropic trust supporting Christian mission in New Zealand. Andrew and Helen are members of St George’s Anglican in Epsom, and they have three adult sons and one daughter-in-law. 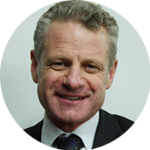 Chris Collins is currently Chief Executive of Eastern Institute of Technology (EIT), Hawkes Bay. He was formerly Dean and General Manager at UCOL and the Regional Registrar for Massey University. He was TSCF President in 2001 and 2002 and the National Board Chairperson for TSCF from 1992 to 2001. 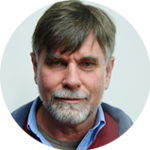 Chris is a current member of IFES’s Executive. He attends Pirimai Baptist in Napier. Efeso is of Samoan and Tokelauan heritage. He is the youngest of six children and grew up in Otara, south Auckland. He was the first in his family to attend university and is studying (rather slowly) towards a doctorate in Indigenous Leadership. 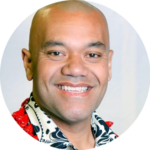 He has a particular passion for youth and over the years has established a number of mentoring and leadership programmes, published research on youth gangs and facilitates professional development in working with Pasifika learners and families. Efeso is married to Fia and they have a daughter, Kaperiela. He holds the chielfy ali’i matai title of Fa’anana from the village of Satufia, Satupaitea. They attend a Samoan church in west Auckland. 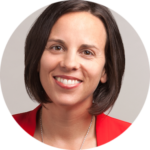 Jessica is a law professor and Dean of the Faculty of Law at Otago University, where she teaches and researches in trusts, contract and commercial law. She studied law and accounting at Auckland University and worked briefly in practice and as a judges’ clerk before receiving an LLM from Cambridge University. She supports the TSCF Law Students’ Christian Fellowship on campus at Otago and has been involved in governance of not-for-profit organisations for several years. Jessica is married to Nick and they have four young children. 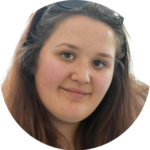 Jessica believes that God has specially anointed the South Island and was happy to respond to his call to build a life in Dunedin and seek the sun and relaxation of Central Otago regularly! 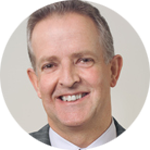 Jonathan Boston is a professor of Public Policy at Victoria University. He has published in the fields of public management, tertiary education, social policy, comparative government, New Zealand politics and climate change policy. He was a member of the New Zealand Political Change Project and also the Tertiary Education Advisory Commission. Jonathan subsequently worked for the Tertiary Education Commission on the Performance-Based Research Fund. He was Director of the Institute for Governance and Policy Studies in 2012 and co-chaired the Expert Advisory Group on Solutions to Child Poverty. He is also involved with Oxfam New Zealand, the Centre for Theology and Public Issues and the Centre for Christian Studies. Jonathan is married to Mary Hutchinson, a Wellington GP, and they have two children, Jessie and Grace. The family attend St John’s-in-the-City in Wellington. 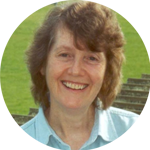 Merrilyn originates from Australia where she completed a BA and Dip.Ed. at Melbourne University, before teaching high school in Victoria for three years. She crossed the Tasman in 1976 to attend BCNZ (now Laidlaw College), and studied for her B.D.Hons. and Diploma in Religious Education, before embarking on a 30+ year involvement in youth ministry in New Zealand. 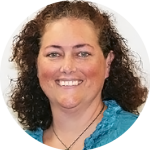 She has been a youth pastor at a local level, worked regionally for the Baptist church in both Canterbury and Wellington and was the National Leader for Baptist Youth Ministries in New Zealand. She is passionate about teenagers and young adults, and has been involved for years in speaking, training, mentoring and providing encouragement and support to young Kiwis. She attends Hutt City Baptist in Lower Hutt, and loves to take the opportunity to travel in her free time. Roger Moses is a well-known leader in secondary education. He has been headmaster at Wellington College, Deputy Principal of Waihi College, and has taught at Auckland Grammar, Macleans College and Mahurangi College. He has an MA (Hons) in English. In 2001, he received a Woolf Fisher Fellowship which enabled him to spend three months studying secondary education in the United States, UK and Europe. In 2009 he was awarded the ONZM in the Queen’s Birthday Honours for services to education and in 2010 he was nominated for Wellingtonian of the Year. Roger was on the executive of the Evangelican Union in Auckland and benefited greatly from TSCF conferences in the 1970s. Speakers such as David Watson, David Pawson, Michael Griffiths and Floyd McClung have influenced him to this day. His personal goals are to blend the strengths of a traditional education with the demands of a rapidly changing world, and to see each student reach their potential in every area of school life. In recent years, Roger has betrayed his former allegiance to Auckland and The Blues and now is a fervent supporter of the Hurricanes. Val was born in the Waikato and is still a committed fan of Waikato rugby (complete with Mooloo cowbell). She has a Bachelor’s in Economic History from Victoria University and a B.Div from Laidlaw College. Val taught History and Economics at Macleans College before working with university students. She was TSCF’s Head of Student Ministries from 2002 to 2014. She then worked as Pouwhakahaere (Campus Director) for Laidlaw College in Manukau until 2018. Val completed her Masters in Education (Adult Education) in 2013 where the focus of her thesis was on women in leadership of not-for-profit organisations in NZ. Val also mentors people for international leadership roles as part of a global leadership initiative with the International Fellowship of Evangelical Students. She is passionate about helping people live authentic, growing, and biblically shaped lives wherever God leads them.